Bees are busy and they buzz. 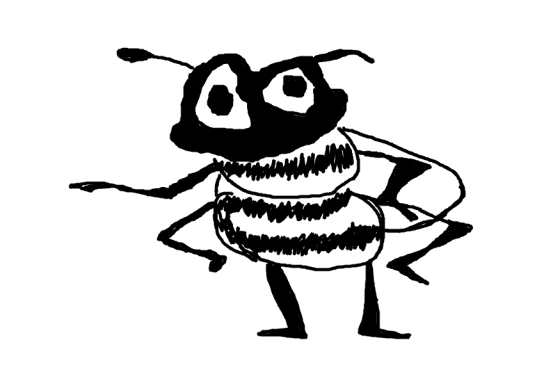 Bees have little B shaped bodies. But why “bee” and not just “b”? B is for Benjamin Franklin who wanted to change the alphabet. He wanted a phonetic alphabet where we could spell every word exactly the way we say it. But not “bee”, bee was still b-e-e. Benjamin! ME: I remain your dear friend. Benjamin: yi remeen iur diir frind. And while bees may be busy, most people are not.